Maintain Your Smile: Feel good about your smile with complete or partial dentures at our clinics in Waterloo and Elmira. At Waterloo Denture Clinic, we give patients a reason to smile with our professional denture services in Waterloo and Elmira. We believe that a radiant smile begins with strong, healthy-looking teeth, which is why every set of dentures we create is tailored specifically to your unique needs. Creating beautiful smiles since 1995, our friendly and knowledgeable team will make you feel comfortable the moment you walk through our door. Our goal is to have you walk out of our clinic with a beautiful set of teeth, so you can eat, talk, and smile with confidence. 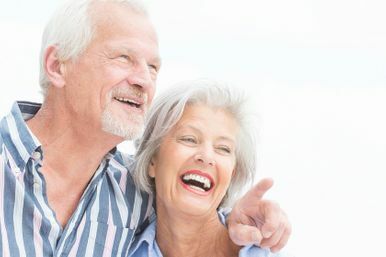 Whether you’re considering dentures for the first time, or are in need of a repair or replacement for your current set, our clinics offer a wide range of denture solutions to suit your needs. We can provide same-day denture repairs and relines. Come in today for your no obligation consultation and examination. We also provide mobile service & house calls for those unable to come in to our clinic. Your privacy is extremely important to us. The trust placed in us by our patients is absolutely essential to our success. Make Waterloo Denture Clinic your top choice for complete denture care in Waterloo and Elmira. With over 22 years of experience and access to top-of-the-line equipment, you can feel confident knowing that you’ll receive the best treatment possible. Have a question about our services? Take a look at some of our frequently asked questions. Call us today to schedule a service. 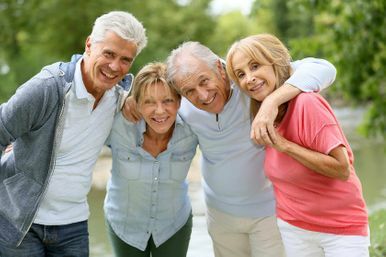 Complete dentures, partial dentures, repairs – we do it all and more in Waterloo and Elmira. Akram Ghassemiyan DD will take care of all your denture needs.